In an ever-changing world of healthcare compliance and other concerns, labor management has become an increasingly bigger challenge for grocery store owners and other retailers. Managing full-time and part-time employees has become more labor-intensive and, in many ways, more burdensome. If your store is using an outdated labor management process for scheduling, payroll, organizing paperwork and documents, and more, then a New Year is a great time to switch to a new system. 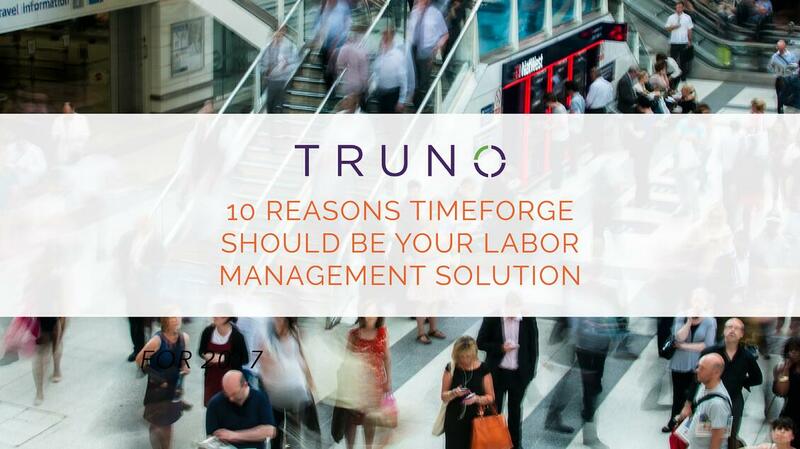 At TRUNO, we’ve partnered with TimeForge, the retail industry leader in labor management software, to provide you with an easy, centralized, and efficient solution. A trade show is one of the best places to network and learn more about the grocery industry. It’s a fantastic meeting ground for retailers looking to expand their knowledge – with the right people. However, they’re not cheap to attend. With travel and hotel stay, it can add up into the thousands rather quickly. We’re here to tell you which shows are the most effective to drive success, both in your career and as a grocer. Be sure to look out for TRUNO at these events, we’d love to connect with you and learn how we can help navigate your business down the road to retail success! It’s a New Year and, hopefully for your retail business, one filled with new goals and excitement for the year ahead. It may also be time for a new Point-of-Sale terminal. While implementing new technology can be a bit daunting at times – the alternative of running an outdated POS system that’s slowing down your operation and missing key data about your customers is far from ideal. So, why not ring in the New Year with a new system that will pay long-term dividends? 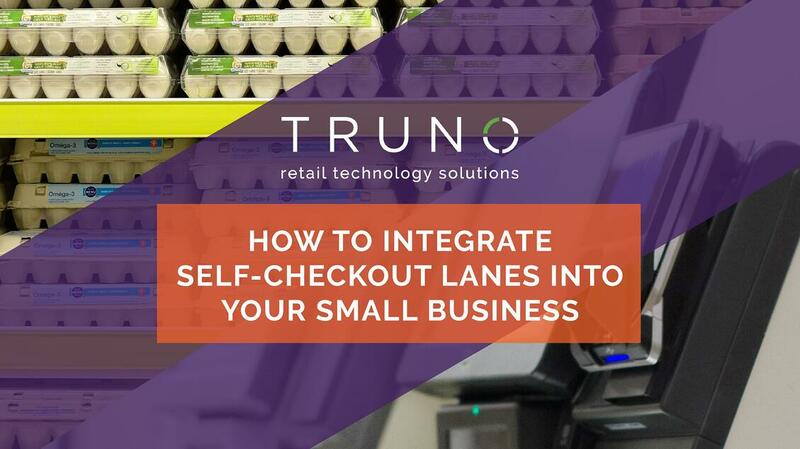 While self checkout systems are nothing new, they’ve experienced a tremendous surge recently and use will likely double in the next couple of years, experts at Kiosk Marketplace say. And they’re not just popping up in supermarkets but other retail markets such as convenience stores and department stores. One of the most important things you can do for your business in the New Year is to make sure that you’re getting the most out of your POS system. POS technology is ever-evolving, and if your system is outdated it probably costs you time and money – while also having a negative effect on your customer’s experience. At TRUNO Retail Technology Solutions, we like to think of problems as being neither too big nor too small. It’s all about partnership, and as your partner, we stand ready to help you resolve any technology issue that comes your way. At TRUNO, we simply think we have the best employees around. Our nationwide team is comprised of industry experts in a variety of positions. Each individual, and their unique skill set, make a valuable impact in delivering retailers the most trusted technology solution. 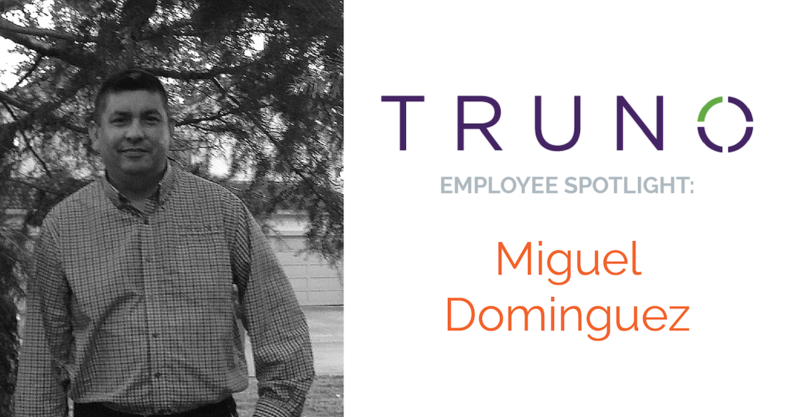 Each month, we'd like to introduce a member of TeamTRUNO to you. Grab your cup of coffee and let's start with Miguel Domingues out of Northern California. Video surveillance is a key part of a loss prevention strategy for your supermarket, convenience store, or any other type of small retail business. Closed-circuit television (CCTV) has long been the foundation of store security efforts in preventing internal or external (shoplifter) theft. But there’s more to it than just retail monitoring, as you can also gather information that helps optimize your store’s performance, improve customer service, marketing, and promotions. 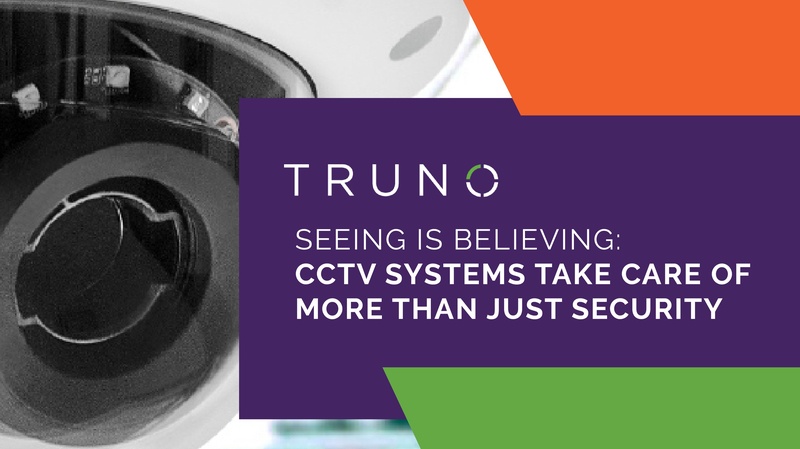 Here’s how you can leverage your investment in CCTV systems to get the highest – and best – returns possible. 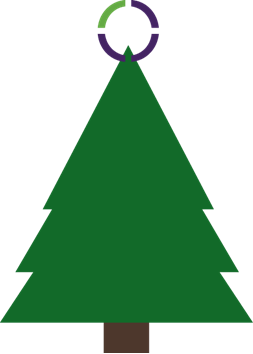 IT's the most wonderful time of the year... TRUNO announces EXTENDED HOLIDAY Service HOURS The holidays bring lots of laughter, love, and.... meals around the dinner table! Which means we know you are busy. 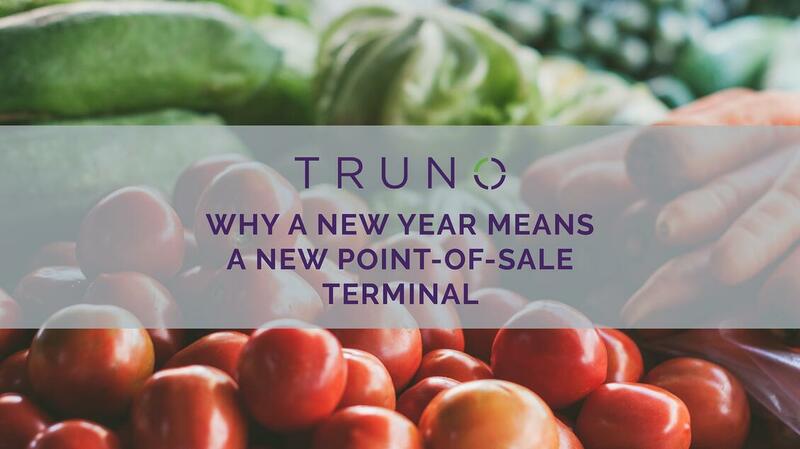 You can rest assured no matter how crazy the season gets, TRUNO has your POS systems covered. Taking a look at recent history, there is no doubt that technology has fundamentally changed the business landscape. The steam engine in the 18th century fueled the Industrial Revolution. The introduction of the train in the 19th century brought rapid transportation to the world. That was followed in the 20th century with breakthroughs such as the airplane, the transistor, the microchip, and the internet. And in the 21st century, the big trend is digitization.